David Guetta "Don't leave me alone"
A lonely woman uses virtual reality to live out her fantasies. She falls in love and goes with her man on an extraordinary adventure. 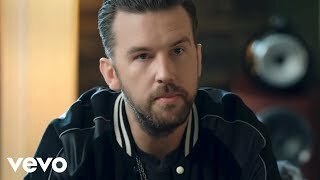 Brothers Osborne "Shoot me straight"
You are cordially invited to join an Indian sect. It will cost you, for sure, but it will teach you to expand your mind beyond the physics and your brain will know no limits. An isolated house, strange characters and rotting food make a twisted recipe for an eerie party where the singer seems intent on digging up the corpse of his living dead wife! The singer talks to his son through a TV set, with the action sequences set in comic book frames. 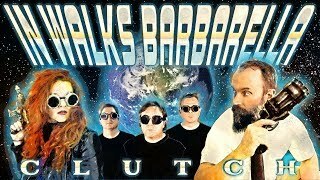 Though the song's title might make you expect a plot similar to the cult classic film Barbarella, the video spins a different tale... one of alien invasion, astral planes, space trucking and heartbreak. 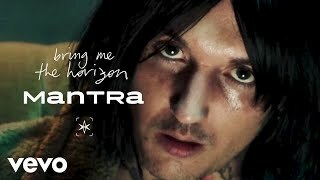 Bring me the Horizon "Mantra"
In an age where television reigns supreme (though perhaps less so now than in previous decades), the British rockers return with a video that feels at times like an infomercial and at others like a harsh denunciation of the evils of the small screen. It also addresses themes such as religion, cult followings, suicide and, in a more general sense, the dangers of blind obedience. 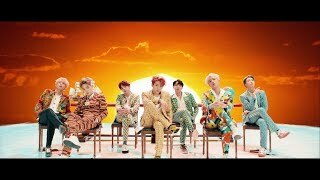 The highly popular South Korean boyband have released a new video that mixes a modern sound with computer graphic visuals that hark back to the 80's. The result is a colorful effects-laden extravaganza that will have you on your feet and dancing in no time. 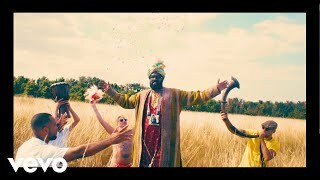 Nina Nesbitt "Loyal to me"
iLL BLU "Chop my money"